Cyrl-2 This user has an intermediate understanding of the Cyrillic alphabet. why oh why English why oh why wasn't there an entry for this already? Watford Gap English Where the North begins, according to the South. never fight a land war in Asia English Always good advice. GUBU English (Ireland) A word with a grotesque, unbelievable, bizarre and unprecedented etymology. English disease English At least a dozen senses, and easily a dozen more nonce senses that don't have 3 citations. for England English (UK) Inspired by this post at "separated by a common language"
on the English (AAVE) How many mics do we rip on the daily? Lawsonize English (US) A flash-in-the-pan topical term from the turn of the 20th century. Tarbellize English (US) Ditto - I've no doubt there are many more obscure -ize neologisms out there. who's on first English (US) Good question. Givebox German A classic example of the German love of smashing English words together. bloodscape English Originally found in The Chronicles of Thomas Covenant by Stephen R. Donaldson. The site "Stephen R. Donaldson ate my dictionary" might actually be a good source for citing obscure words. wunch English (UK) Always satisfying to create and cite a page that's been deleted three times. Yorkshire caviar English (UK) It's delicious! comerlongerme English (UK) Apparently at one time, this was the word to use to mark a character as a stereotypical copper. over-unity English How quack inventors try to get around rules banning patents on perpetual motion machines. pyramidiot English And another pseudoscience. I love the faux-naïve etymology. will-they-won't-they English Is it ever "they won't"? flashman English Tried and failed to cite the "bully" sense, ended up finding four other senses instead. pope English In the process of saving the pope fish and two pope birds from RFV, found a third pope bird. Failed to cite the bullfinch sense, despite finding one tantalizing hit. all Sir Garnet English (UK) Sir Garnet was, incidentally, the original model of the modern Major-General. builder's English (UK) It's always fun to add entries for possessives. ooh, matron English (UK) Would the US translation be Hello, Nurse? Trabant German (and also English) Some very telling inflection differences between the noun and the proper noun. 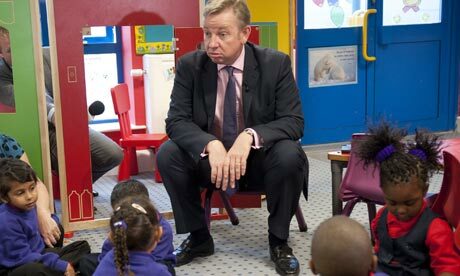 naughty step English A phrase forever associated in my head with Private Eye's favourite picture of Michael Gove. Cameroon English (UK) Ditto, sorry to all Cameroonians for Etymology 2.
tickle the dragon's tail English Not a good idea in any sense. socarrat Catalan (and Spanish) Mostly I was just happy to learn that my paella is meant to turn out like that. Araucarian English (UK) Given that we already had Ximenean, I thought we should even the score. -punk English When will wikipunk become a genre?